If you think that this is a phenomenon limited to Europe and North America, you’d be wrong. I’m on my “book tour” of South America and people are talking about it on social media here as well. This promotion has gone truly viral, more so than any bonus mile promotion that I can recall. So, when faced with the promotion of the decade, why didn’t I buy myself 10 flights, much less go crazy for friends and family? Will Iberia Plus Pay Out the Avios (and When)? When Iberia‘s number crunchers arrived to work on Monday morning, they might not have been pleased. Some bloggers have thrown around a number of 10,000 “travel hackers” participating. I think that is really underestimating the total number. The miles and points blogosphere (+ Flyertalk) can perhaps amplify things so that they seem much larger than their actual real world impact. But if the true number were to be 50,000 promo participants – this is the number of people who apparently bought tickets on LEVEL the first day flights were offered for sale, and that’s just a low cost carrier – then Iberia Plus would be looking at paying out 4.5 BILLION bonus Avios worth perhaps £30-40 million under IAG intra-group accounting rules. That is surely enough to have senior executives (i.e. not just revenue management and marketing) start looking into ways to escape some or all of their commitment. What about all of those multiple accounts in the same name? Or those tickets booked using the credit card of a third party? Of those brand new Iberia Plus accounts where the number is being added manually after the purchase? 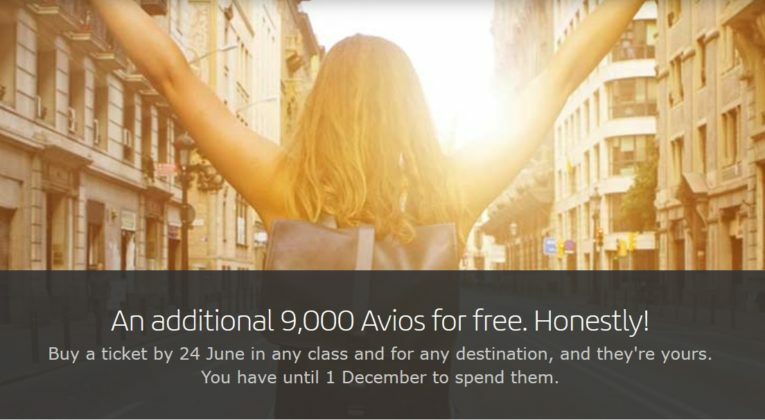 I do expect to receive 9,000 Avios for each flight booked – subject to the standard Iberia IT woes – but I’m not quite sure when (even though they were promised within 10 days). Will It Be Possible to Spend All Those Avios Before 1 December? Iberia no longer offers an equivalent to BA’s Reward Flight Saver. Short-haul flights attract a substantial payment for taxes and surcharges. Poor value. Partner rewards are completely non-changeable and non-refundable. This restriction simply doesn’t work for me as my travel plans are never set in stone. Iberia’s IT also makes it more difficult to book partner rewards, which is why I usually recommend to transfer Avios over to British Airways and book partners through Executive Club. Part Pay With Avios can offer as little as 0.4-0.5p per Avios on Iberia flights. Although the poor value from these rewards is still higher than the cost of the cheapest one-way flights people have purchased, the savings is hardly substantial enough to merit such a speculative acquisition of Avios. What do I like to spend my Iberia Avios on? Long-haul flights in Business Class… The same as practically everybody else reading InsideFlyer regularly (and a large number of the travel hackers who went crazy for this promotion). But can Iberia handle the increased demand for premium reward seats? Almost definitely not. Iberia has a fleet of approximately 30 long-haul aircraft. If we are being generous, those 30 planes might be able to handle perhaps 50 long-haul flights in each 24-hour period, mostly transatlantic to North and South America. If we roughly assume that 90,000 Avios (plus members’ existing balances) will get two Business Class reward seats on each flight, where do we end up? 50 flights x 330 days (booking before 30 November as far into the future as rewards are allowed) = 16,500 total flights. So, we’d be looking at a total of 24,000 flights where Iberia Plus members might want to spend their bonus Avios. Of course, the number is going to be substantially lower, as many flights won’t have award space and relatively few people will want to fly on vacation to El Salvador or Malabo. But even if Iberia were to offer 2 Business Class reward seats on every single long-haul flight they run, I don’t think it would be enough to mop up all the bonus Avios in the system, much less account for the standard Avios circulating within the system. What Did I Do This Weekend Then? I simply booked a handful of Iberia flights that I am likely to take. If I receive my bonus Avios… great… if I manage to use them before 1 December… even better. In the extreme, I can book some “Air Bridge” rewards on the Madrid to Barcelona shuttle service, since they have no capacity controls. At some point soon, I will write another post outlining my advice for what you should do once the bonus Avios hit your account, as a second feeding frenzy is surely on its way. LOL. Just 6. Precisely the number of bonus Avios that I can spend right away on a one-way in J before all the award space disappears. I spent just short of £300 on ten segments that I would have otherwise booked – apart from a day return to Porto, but I’ve not been to Porto before. BA Gold – so there’ll be more than 5,000 proper Avios and 90,000 ‘bonus’ Avios in there. I’ll be looking for short haul redemptions on BA metal (presuming there is not an ‘Iberia metal only’ clause added – and pay the extra £5-10 in taxes per segment. I’ll probably go business instead of economy. If I can burn through more than 30,000 Avios in that way – I’m still quids in by my reckoning. It’s the long haul American flights that will be squashed. Worst case scenario: burn on Iberia metal only: I’ll just to Edinburgh to Madrid to [wherever] instead of Edinburgh to LHR to [wherever]. Fair enough. Done something similar myself but for both of us. I don’t think you have to fly IB metal which opens up your choices; just need to book through the IB website. Of course then you have the problem if you book with a partner then cancel you loose the avios. Still plenty to think about with this offer….. This will sound crazy to the majority of you, but I didn’t book any. I found too many ifs and buts in this promo for my liking. Also, I suspect there will be HORDES of people desperately trying to book award space before December 1st and finding it very limited. There will be some people whose Avios vanish on December 1st simply because they can’t find award space. I hereby promise to never again mention 68K for a return in Business Class to New York / Chicago. As you say, award space on North American routes is going to be hoovered up quicker than Taylor Swift tickets. I’m sure we’ll be running a few posts in November 2018 outlining how desperate IB+ members can spend their 90K Avios, even at poor value. I went in not to redeem for J, but just to get discounted hotels for my planned trips. So I’m just going to book those and watch the award flight hunters fight it out. It will be interesting to hear how the value proposition works out for hotels. My instinct is to say that no cashback, no perks (i.e. hotels.com free nights or booking.com miles), no points, no elite status benefits, etc. make it much worse than the headline pence per Avios calculation, and that’s assuming that Iberia sells hotel nights at the same price as you can find on other OTAs. I searched various hotels in various locations I intend to visit and compared pricing against cash. avios (at the discounted rate that we will hopefully get) was working out to be at least 45% to 50% cheaper than equivalent cash rate from the cheapest aggregator sites in good to excellent 4 and 5 star places. hotel status – I don’t have with any hotels anyway cause I don’t travel much and have no opportunities to status match etc. So those benefits are nonexistent for me. I do use hotels.com as that works out well. I suppose that means I will, in theory, lose out 10% as thats what hotels.com gives you back in the free night = average of 10 nights. So overall, before the purchase of 10 flights, it all checked out. Then I took the plunge. My hope is that worst case I wont lose anything (as long as they don’t increase the hotel redemption rates by more than 35%). Of course, that’s if Iberia do honour this in the first place! That is one risk we have all taken! I also avoided being tempted into this deal, despite being implored to by a multitude of bloggers who seemed to be in a feeding frenzy. Apart from the caveats mentioned above, it’s the fact that they’ve all got be spent by Dec 1 and my travel plans right now consist mostly of eastbound flights on *A carriers. I was highly sceptical of being able to find any award space if/when I’d finally decided how to use them. Craig mentioned how many people have probably plumped for this deal so that makes it even less likely there would be anything at all. The Tesco toner deal from last year was much better as there was no time limit. I earned about 50K avios on that before they pulled the plug. Glad to hear I wasn’t the only one! I didn’t bother also, my fear of all those thousands of people searching out redemption availability within that short time frame to book by put me off. As soon as the points hit accounts it will be a feeding frenzy of grabbing any redemptions left. The reading of CS replies stating no transferring out the points was the deciding point for me. Yup. We’re going to hear a lot more about this over the coming weeks, I feel. I bet a lot of people end up going somewhere they’re not that bothered about going to, simply because they can’t get seats elsewhere. Exactly what I was thinking. Most probably a lot of people will not find redemption availability in their chosen destinations so will opt for anything AVAILABLE just to use the points up. Or, points will post and they will not stop transferring out and people will be happy to sacrifice their IB accounts leaving them in deficit. I agree. I have planned trips which are flexible and will be completed well before dec 1st 2018. So I thought why not. and my aim is to just book hotel stays. cause I am sure the reward seat availability will be extremely diff within a few days of the avios being posted. anyway, we shall find out soon enough. I booked ten flights I don’t intend to take for £20 each. If (and its a big IF) the TopCahBack tracks & pays that will lower the cost to ~£165. However I’m SURE they will be the first award seats to vanish. I need to look up the partner chart to see a few destinations for points & tax costs. But yes, there will be a frenzy when the Avios hit accounts. I also agree that Iberia execs may well reduce the number of business class award seats so as to screw people over. I hope not. I also hope that the bonus points track & are paid to me correctly and in a timely fashion. Thanks. I am going to do a “proper” post about Iberia destinations this week. Any way of getting to the Egyptian Red Sea in biz class with these Avios now that AirBerlin has died and there’s an embargo from Qatar ??? Royal Jordanian maybe? SSH is pretty much closed to European airlines though isn’t it? Only seems to be UK airlines which are still banning it. Most other European countries lifted the ban ages ago (quietly) and fly there now. Problem is that the airport (not the overall resort of Sharm, that’s fine) is a no-go in regards to the UK FCO guidelines at the moment. Does mean insurance is also tricky as you have to get it in writing from your insurer that you’re covered and a lot of standard insurance companies won’t cover you whilst in the airport ! I think that you are dead right. If these points post award availability across Iberia and BA is going to dry up really quickly. I think that the best option (if you can) will be to use them for flights that don’t go anywhere near Europe nor BA/Iberia. I booked the full 10 (all were under 22euro). If the points post, I’m planning on using them for domestic Australian business class flights on Qantas (which will be easy enough to achieve with an effective 17 month travel window) or if I can make the award availability and my schedule work, a weekend business class trip to Asia ex Sydney. If the points don’t post and we get screwed – I’ll chalk up the 200 quid as a cost of doing business. Do you have to wait until both legs have been released in order to book the return – I guess so ….but can you book one leg and then add the other as the return leg or would you have to pay taxes as if they were two one-way purchases ? ?